Stampin' Up! Demonstrator Kim Price - Handmade by Kim: Global Design Project - Case the designer Krista Frattin challenge #GDP072 - Thank you card feat. the Penned and Painted stamp set. 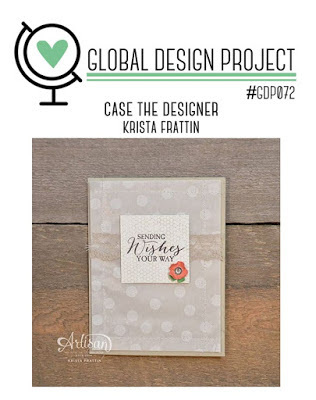 Global Design Project - Case the designer Krista Frattin challenge #GDP072 - Thank you card feat. the Penned and Painted stamp set. Here is my entry for this weeks Global Design Project. The theme this week is to CASE the designer. In this challenge, CASE means to Copy and Selectively Edit. I had already made this card before I saw Krista Frattin's card but I feel it meets the brief and I hope you do too. I made this thank you card for orders placed with me in January - so if you shopped with me, thank you and I hope that you have received it by now! I'm going to be placing an order soon and in it will include some new watercolour pens - until I receive these I've been using my wink of stella pen with my ink pads. 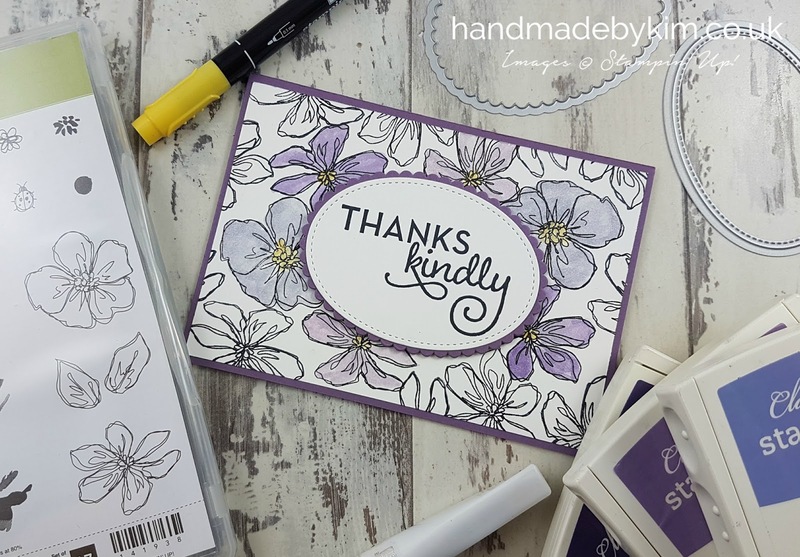 For this card I used Wisteria Wonder, Perfect Plum and Elegant Eggplant ink. The stamped images are from the Penned and Painted stamp set and this is the first time I've used it and I really like it. You can order order all of the products I have used from my online shop. Right now we have a great promotion on. For every £45 you spend you can choose a free item from the Sale-a-Bration catalogue. There is a great joining offer too - just ask me for more details. This is gorgeous Kim! Love it! Thank you for playing along with the Global Design Project this week! We appreciate your support of the GDP challenge blog. Absolutely gorgeous, Kim! Love these purples! Thanks for playing along with this week's CASE the Designer Challenge at the Global Design Project! A beautiful card Kim! thank-you for CASE-ing me this week with the GDP!